Do you have leftovers of soap that you do not know how to use? You can make new soaps adding the fragrance you prefer. It is easy and quick to do. Grain the hard soap you have, you can just use the kitchen grater you have at home. 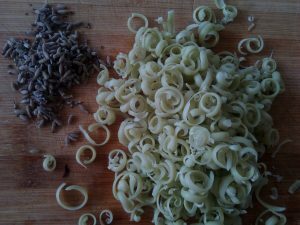 Collect the grained soap in a bowl and add the herbs you prefer, for example lavender or mint or calendula. Add a spoon of warm water in the bowl where you have the soap and the herbs, the warm water melts the soap so it is easy modeling it. 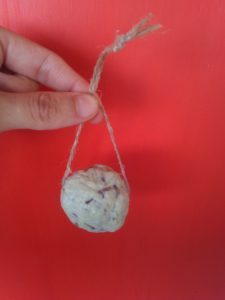 You can shape it as a ball and add a string in the middle of it, so it is easy to hang in the kitchen or bathroom to wash your hands. Lavender gives a strong pleasant fragrance and it is beneficial for acne and eczema. Mint is a fast growing plant, easy to grow on your windowsill and you can use it also to make toothpaste and many other things, it adds a fresh aroma to all your spa productions. Pot marigold is perfect if you have skin irritation and it gives a fun yellow colour to the soaps. It is also a plant that you can grow on your windowsill or balcony. 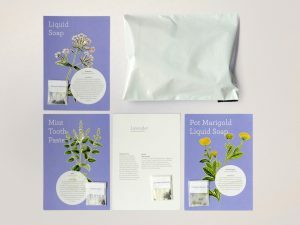 You can get the seeds of these plants in Grow your Soap and all the tricks to grow them, also you’ll find in the growing kit other recipes to make natural soap and tooth paste at home!